Consider this circumstance, you’re a CFO and want to mark-up a board book and share a series of your notes with your CEO to prepare her for the big end of year board meeting. Once the CEO reads through the notes from the CFO, she can quickly make her own notes and share them with the rest of the board. That’s what we recently brought to market with our latest OnBoard release. And it is only the first step toward a determined focus on secure, real-time, context rich, collaboration technology. Real-time collaboration is the experience that we have all become familiar with when using solutions like Google Docs, One Drive, Office 365, and other applications which allow us to see other users actively make changes while we are also doing the same. That real-time collaboration story I opened with is powerful, and a first-step as we think about the future. Moving forward, board software will put more emphasis on this kind of collaboration, groups working together to prepare for and communicate regarding the board meeting, not just the book. Without a doubt, the preparation for a board meeting can be intensive. It is the job of board portals to make preparation even more useful, so that when leaders show up to the board room their conversations can be strategic and forward thinking, not an operational presentation. That occurs by ensuring that collaboration and preparation occur before the meeting. The ability to share notes and annotations are all part of a greater whole when it comes to collaboration. You are unlikely to prepare your documents directly from the board software itself. Rather, board documents are prepared with services you already love, Microsoft Word, One Drive, or Google’s suite of applications. That’s what we are building, integrations with applications you use every day. This will be key for board software to grow into the future. We all find ways to communicate with one another when we need some information. The problem is that we lose the context of the communication when we have to bounce from one source to another to piece together a conversation. Recently, I spoke with a Chief of Staff from a private university and once again heard about the volume of conversations that need to take place in order to just put a board meeting together. Imagine those pesky messages strewn throughout your email. Now imagine a better way: all communications kept in a central, secure, location. One central source of truth, with direct links to contextual items in the book, agenda, resource documents, or anywhere in the board software. That is the future of OnBoard, and we are already headed in this direction. Pursuing real-time communication in a secure way, with the ability to link to anything in the application. This is the future of board portals: shared annotations, streamlined integrations with services you love, real-time messaging, tagging, commenting and opening a discussion about anything in your board portal. In the current implementation of OnBoard, we provide the best experience for our users when compared to other board software. Over the next year, you will see first-hand that OnBoard will become increasingly imperative to organize, distribute, communicate, approve, record, and understand board and committee-related materials. David is Passageways Senior Director of Product for OnBoard. He joined Passageways in 2015 to lead the OnBoard team and drive innovation. 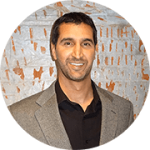 David leads a team of dedicated engineers creating a product which is truly changing how meetings are conducted, information is communicated, and business is accelerated.